Beckerman, Michael Brim, and Michael Henderson (eds.). 2007. Martinů's Mysterious Accident: Essays in Honor of Michael Henderson. Hillsdale, N.Y.: Pendragon Press. ISBN 9781576471111 (cloth); ISBN 9781576470039 (pbk). Červinková, Blanka (ed.) 1990. 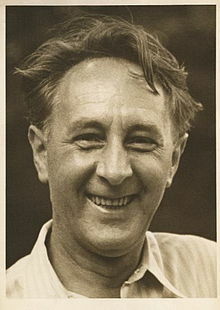 Bohuslav Martinů, 8.12.1890–28.8.1959: bibliografický katalog. Prague: Panton. ISBN 8070390689. Halbreich, Harry. 1968. Bohuslav Martinů: Werkverzeichnis, Dokumentation und Biographie. Zurich, Freiburg i. Br.:Atlantis-Verlag. Martinů, Charlotta. 1978. My Life with Bohuslav Martinů. Prague: Orbis Press Agency. Mihule, Jaroslav. 1966. Bohuslav Martinů. Prague: Státní hudební vydavatelství. Rybka, F. James. 2011. Bohuslav Martinu: The Compulsion to Compose. Lanham, MD: Scarecrow Press. ISBN 9780810877610. Šafránek, Miloš. 1962. Bohuslav Martinů: His Life and Works, translated by Roberta Finlayson-Samsourová. London: A. Wingate.